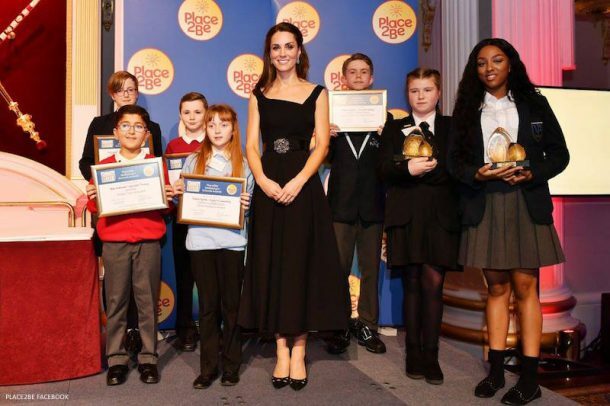 In November 2016, the Duchess of Cambridge (Kate Middleton) wore an elegant black dress cinched at the waist with a sparkling belt by Temperley London. 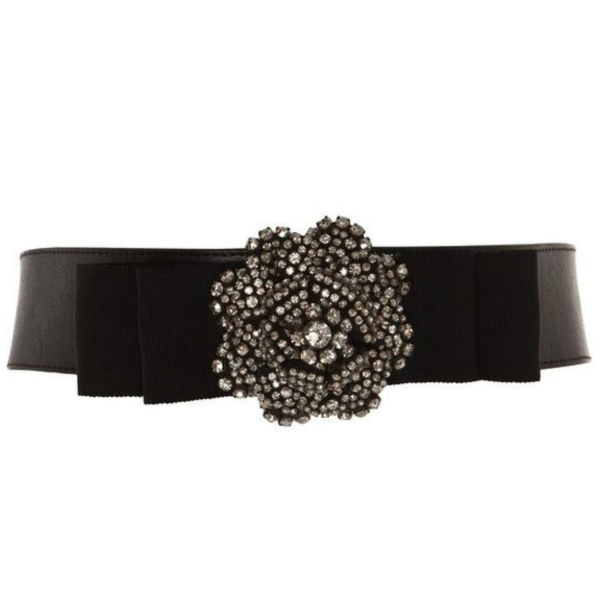 The belt sold for £298 at TemperleyLondon.com (though it is sadly no longer available). Cinch in your waist with the beautifully crafted Crystal Bow Belt, wear in the day for an extra feel of glamour or to an evening cocktail party to spruce up your wardrobe. The back of this belt is elasticated, ensuring a perfect fit for every outfit. Should be worn on the waist.